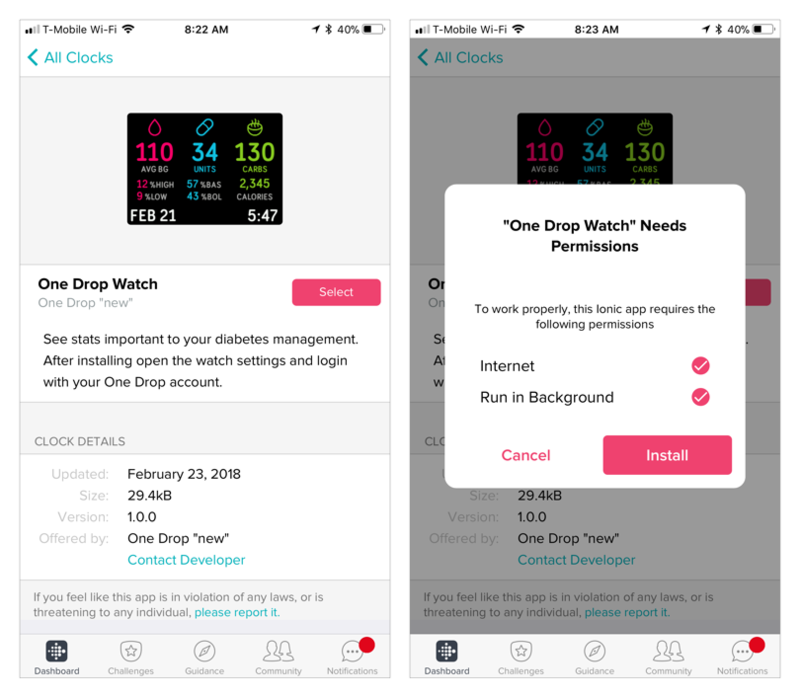 One Drop Now Available As a Fitbit Ionic App! One Drop Now Available on Fitbit Ionic! One Drop is now available on your wrist! The new app designed for Fitbit Ionic is everything that you know and love about One Drop on your smartphone, now located on your Ionic device. 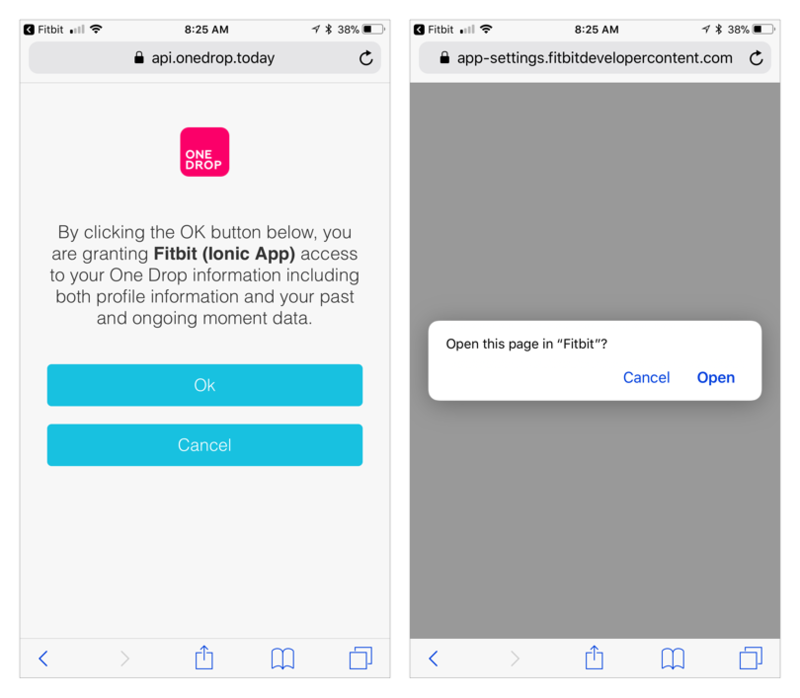 Our dedicated team has been hard at work on this one, and we are thrilled to introduce the One Drop app for your Fitbit Ionic! 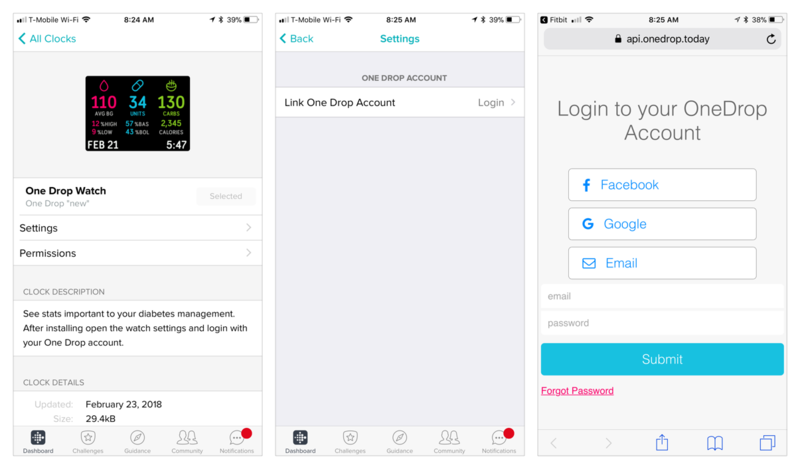 ICYMI: We recently launched Fitbit integration with the One Drop | Mobile app. So, if you wear a Fitbit of any kind and want your activity data synced with One Drop, follow the instructions here. If you have a Fitbit Ionic and the One Drop app on your smartphone, then you're ready to rock. Now, with the One Drop Fitbit Ionic app, you can instantly see blood sugars, food intake, activity levels, and medication anytime, anywhere. It's one more way we're making this diabetes thing a little easier: instant updates on your health data right on your wrist! You can install the watch face in two ways. Choose either via the direct link (must be opened on a mobile device with the Fitbit app installed) or via the Fitbit App Gallery. If installed from the direct link, skip down to the section on installing the watch face (Step 3). 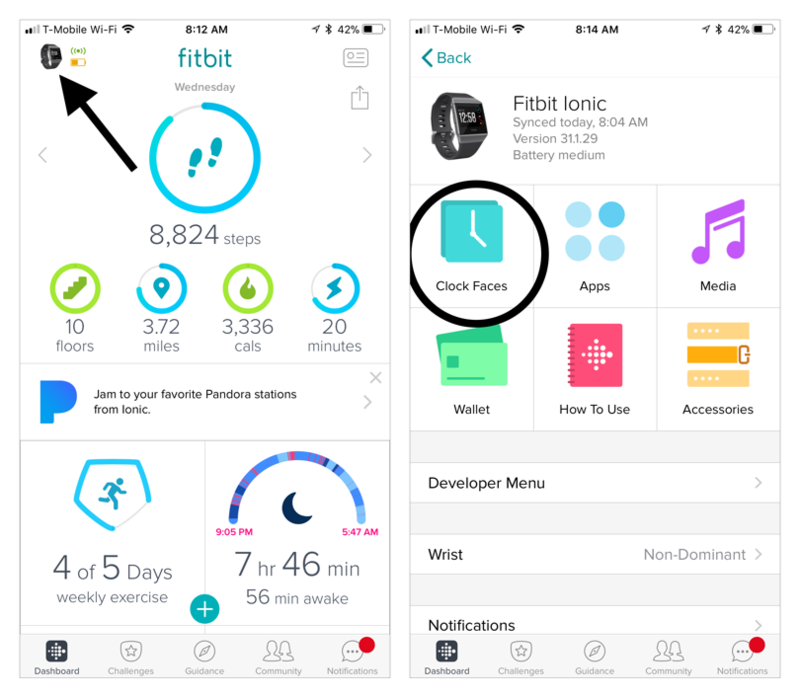 From the Fitbit app, click the watch icon in the top left corner and select your Ionic. On the Ionic screen, select “Clock Faces” and find the “One Drop Watch” (you can narrow the watch faces by looking in the “Stats Heavy” or “Digital” categories). Next, navigate to the One Drop Watch. Click the “Select” button. When prompted, allow the One Drop Watch permission to “Run in Background” and “Internet." Click “Install." These permissions are required for the One Drop Watch to function. After installing the watch face, login to your One Drop account. Click the “Settings” link from the One Drop Watch screen. Then, click “Link One Drop Account." Next, a browser will open. Login to your One Drop Account. Select the appropriate login method (Facebook, Google, or Email), and click "Submit." 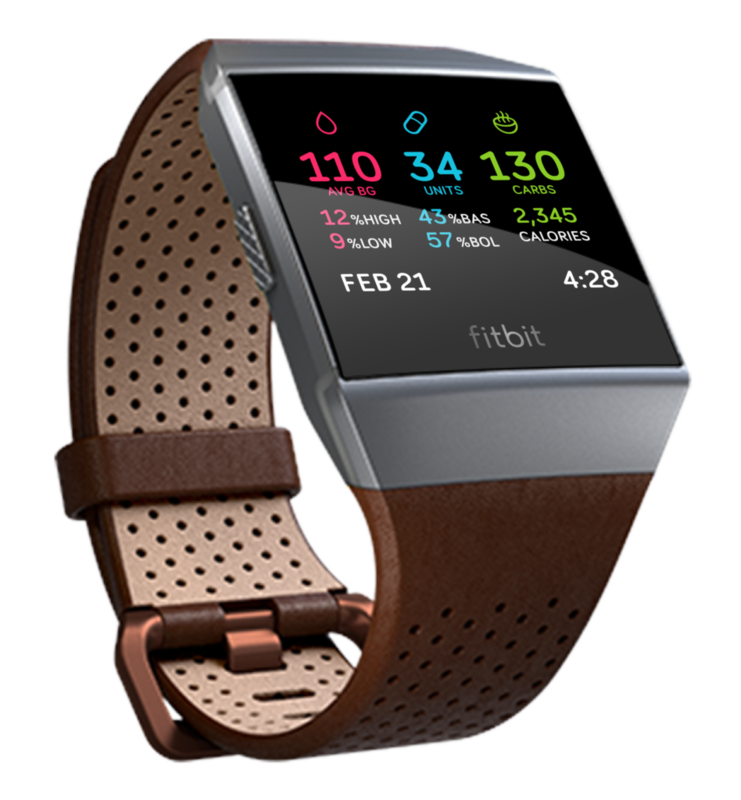 Click "OK" to grant the Fitbit Ionic permissions to access your One Drop information. Finally, if prompted to “Open this page in Fitbit,” click “Open." Then, you will be redirected back to the Fitbit App. That's it! Now, you can look down at your wrist at any time to keep tabs on your One Drop data. Fitbit and the Fitbit logo are trademarks or registered trademarks of Fitbit, Inc. in the U.S. and other countries. Additional Fitbit trademarks can be found at www.fitbit.com/legal/trademark-list.